I was sorting and culling today through old correspondence with publishers. A generation ago, getting images to a magazine was a ponderous process. First, one had to label slides, then create a separate typed (yes, with a typewriter) list of each slide, together with its file number. I then wrote a cover letter, created a delivery memo, together with a self addressed stamped envelope for the editor to sign and return. I’d then trot this entire carefully wrapped package to the post office, send it off certified mail and in a week or so the editor would receive the images. Occasionally, on a tight deadline, I’d overnight a package at great expense. The process paid off and I published widely. No wonder the competition was so much less then. All this sort of thing was a giant headache. Today, of course, in the digital world, it’s totally different. I create an online portfolio in a matter of minutes, send the link to an editor, he/she selects a few (hopefully), and I upload a high res image via email, YouSendIt, DropBox or some other service. I’ve also placed over 1200 high res images on an art website, Imagekind.com, and make regular sales there. 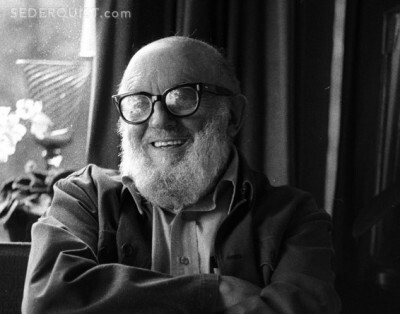 Just last week on that site I sold a photo of Ansel Adams that I first made in 1980 at his home in Carmel. He was kind of enough to change positions to afford me better light. (Originally he had been silhouetted against the window.) The original was shot with Kodak Plus X film and I scanned the image recently, restoring it in Photoshop. Now Kodak, disinclined to keep up with the digital revolution, is defunct. Keeping up with new imaging software, plugins and so on is practically a fulltime job and expensive besides. Now I am playing with iPhone technology and marveling yet again at how the photography world has changed. But is it all good? A lot of thought went into those old cover letters. I would write a first draft, reflect on things for a while, then revise, revise, scribbling my corrections on the revision. Today it is too easy to shoot an email to someone (or worse, to whole groups), or splash something onto Twitter or Facebook. Sometimes we don’t think of the ramifications of what we say, and occasionally our written missteps can prove awkward. No, we don’t need to go back to the old days. But we do need to think. Critical thinking and analysis seem to be going the way of Plus X film.